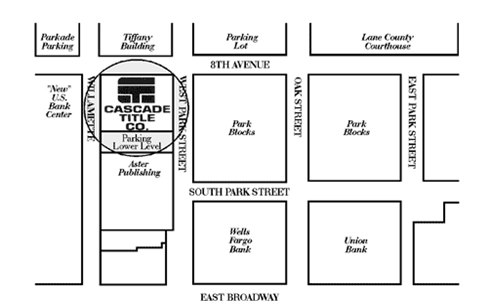 Main office: 811 Willamette Street, Eugene, OR 97401. Directions. Please feel free to use our parking garage, located under the main building. This garage is accessible from the east side of our building, via W. Park Street, and it is FREE to our customers. 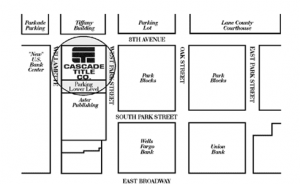 Village Plaza Office: 4750 Village Plaza Loop, Ste 100, Eugene OR, 97401. Directions. Florence Branch: 715 Highway 101, Florence, OR 97439. Directions.